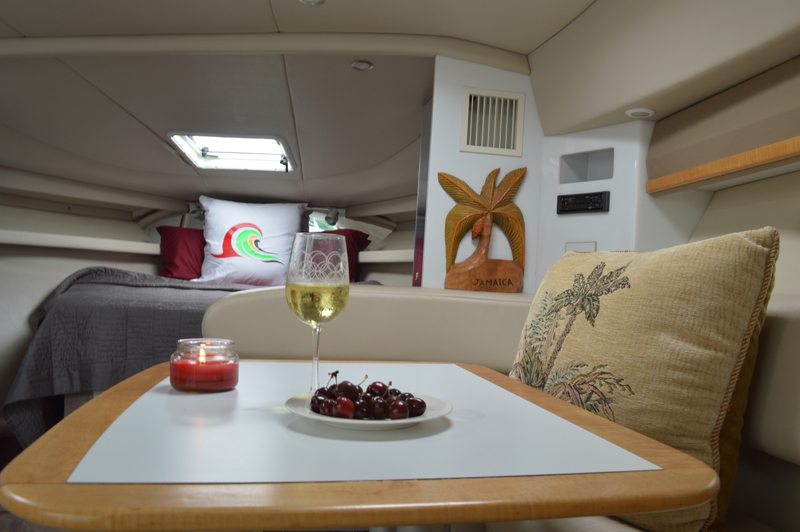 Enjoy private Overnight Boat & Breakfast cruise experience aboard Irie Vibes 34' powerboat or Therapy 43' sailboat. Comfortable setting for families, friends and couples. 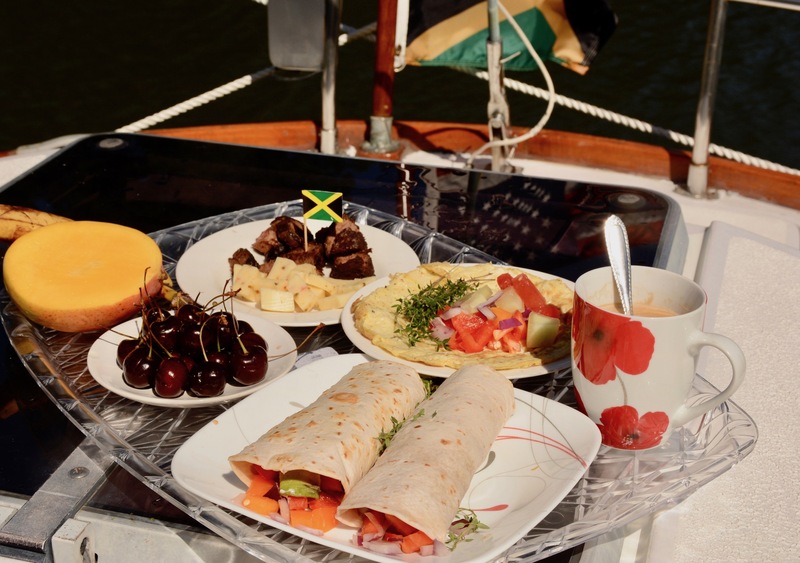 At the end of your cruise and fun day, we'll anchor to enjoy food and music of your choice - with options to paddle board to explore secluded creeks and sandy islands. If you like, you can dine at one of the Bay's many water-front restaurants. Our Cruise Director can help develop and personalized itinerary, including special requests for cuisine, on-board entertainment, ports of call, and restaurants. Your time aboard an Island Chill yacht is always special. Beyond the various cruise options, both Therapy and Irie Vibes feature sleeping staterooms for 6 guests for you to enjoy. 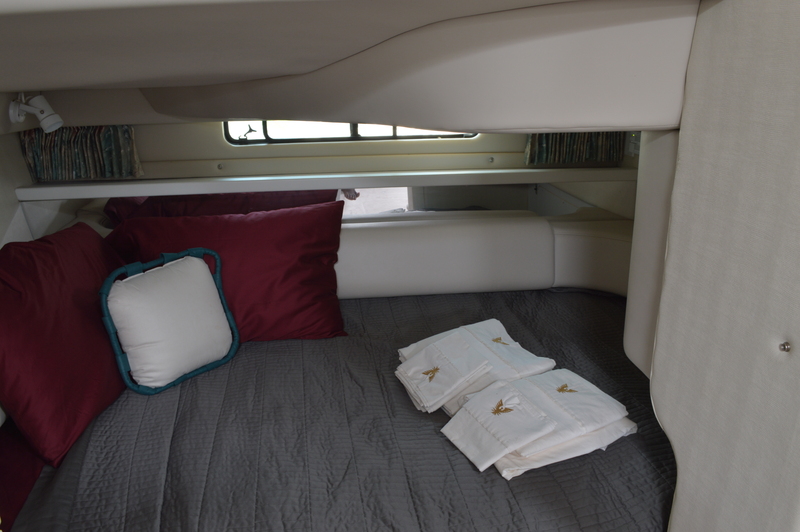 These are designed to complement your casually elegant yacht cruise and provide a comfortable and private place to rest your head on overnight charters. 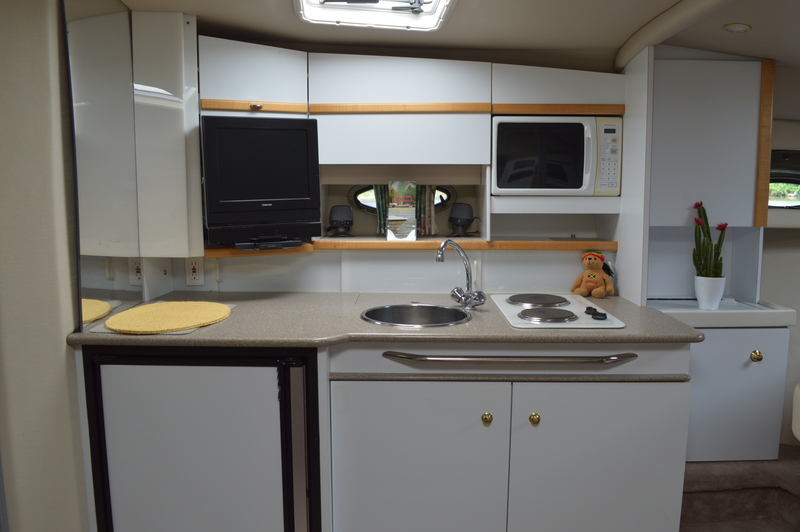 Amenities include, rest room and shower, fridge/ice box, and comfortable living space. The cockpit area includes comfortable seating with a cocktail table to really let you unwind. If you prefer the open-air feel, you can always rest on deck! Irie Vibes is a high-performance Formula-34 cruiser. Her stern lounge area can be reconfigured for dining to swimming to partying. 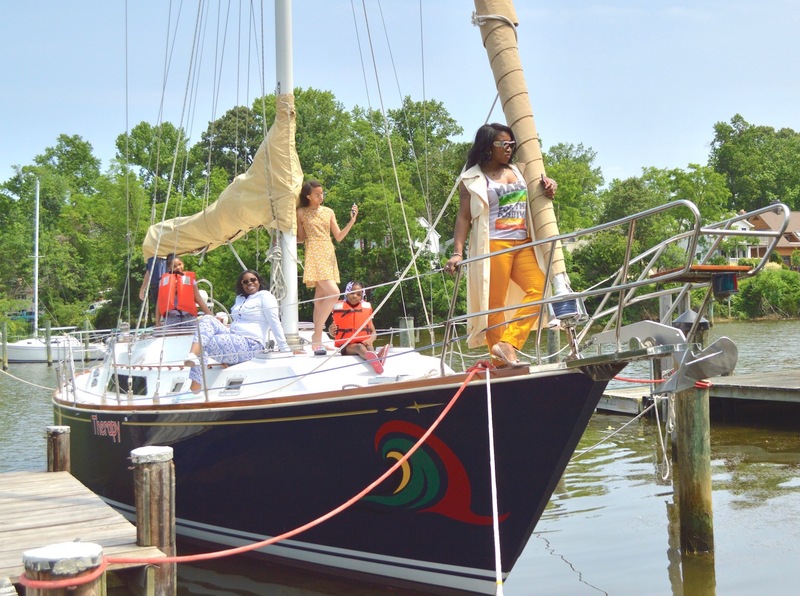 She is a wonderful option for a memorable voyage along the Chesapeake Bay. Sleeps 4 guests. Irie Vibes Pictures, Features & Amenities here. 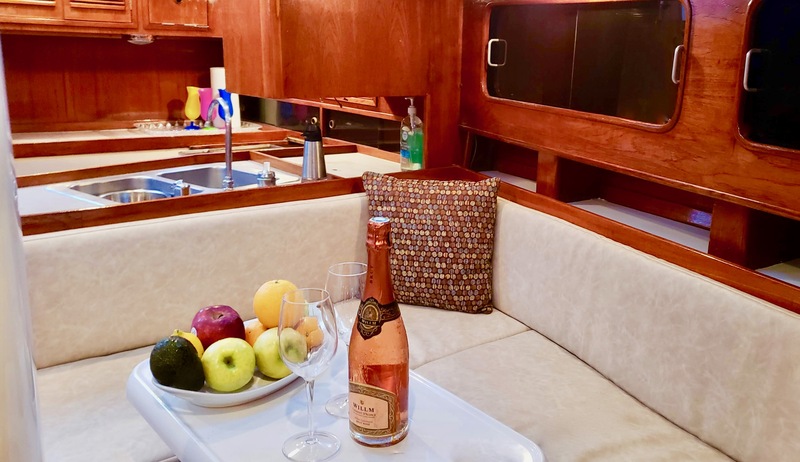 This resolute & comfortable 43' sailboat – center cockpit C&C Landfall amazingly comfortable and spacious sailing yacht makes a wonderful yacht charter for you and is a wonderful option for a memorable voyage along the Chesapeake Bay. Sleeps 6 guests. Irie Vibes Pictures, Features & Amenities here. 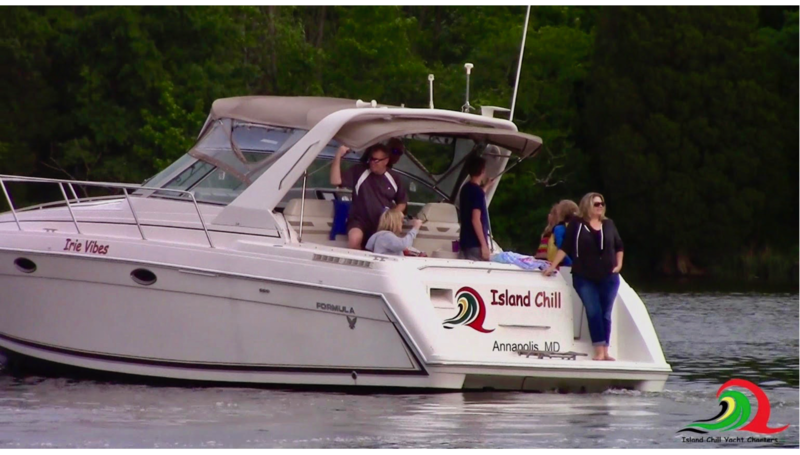 Whether for personal & family fun, business engagements, or a beautiful romantic sunset or overnight cruise, Island Chill Yacht Charters is the perfect getaway on the Chesapeake Bay. Whatever your plan, our yacht is yours for the duration of your cruise, which why so many return to book with us. When you are ready to embark on the voyage of a lifetime, request to be contacted below and we’ll get you started right away. I'm scared of going boating from a young age. So I reluctantly signed up for a IslandChill and after half hour in our trip, I could not think of one thing that was not done to perfection. The food was great, the staff was spectacular, and love the Jamaican atmosphere created.